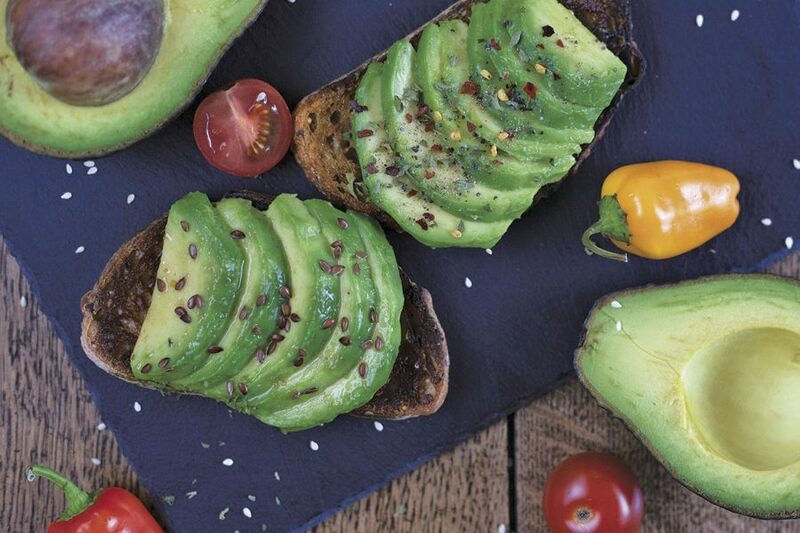 Avocados are a popular topping for healthier meals. Perhaps one of the best gifts the world has to offer, avocados have a plethora of health benefits and is complementary with many savory foods. High in healthy fats, avocados have 20 different vitamins and minerals. Per Healthline, avocados increase antioxidant absorption from other foods, and are also high in antioxidants themselves, which is beneficial for long-term eye care, and reducing the risk of cataracts. A BioMed Central study instructed a group of 13 people to eat a meal that contained avocado, while the other ate a similar meal without avocado. The people eating avocado felt 23% more satisfied and had a 28% lower desire to eat over the next five hours. This study could then be expanded to conclude that eating avocado is a way to naturally increase weight loss. In addition to the health benefits, avocado is a delicious addition to all kinds of foods, be it light appetizers, hearty entrees, or even a creamy dessert. Rich, creamy, and fresher than the forbidden fruit, avocado can work great to subtly support the flavor of the more simple pallets or cut the over saltiness of some meats. Consider, for example, guacamole, a penchant of Tex-Mex cuisine. Without avocado, we would be deprived of this decadent and flexible dip. Many also consider it an essential part of modern sushi dishes, in which the avocado served alongside the fish supports the subtle flavors that it provides while also ensuring that any additional aspects of the roll are not overwhelming for the overall flavor of the dish. Moreover, consider burgers: sure the crunch of crisp lettuce does a lot for a burger, as does all vegetable toppings really, but the avocado is one of the few suitable fruits which can top a burger and turn it from a salty mess into savory majesty. This translates even into tacos! Without the avocado to keep it cool and refreshing, tacos can quickly become soggy, heartburn inducing beasts. Avocado is even good for desserts! Coconut avocado ice cream is the epitome of a summery treat that will delight and soothe you in the hot Texas heat. All in all, avocados are great. They provide you with a plethora of health benefits, a menagerie of potential dishes, and honestly, they’re just plain aesthetically appealing. If you don’t like avocados, that’s fine, it’s your opinion and it’s nothing that we have to fight over. You have every right to be wrong.